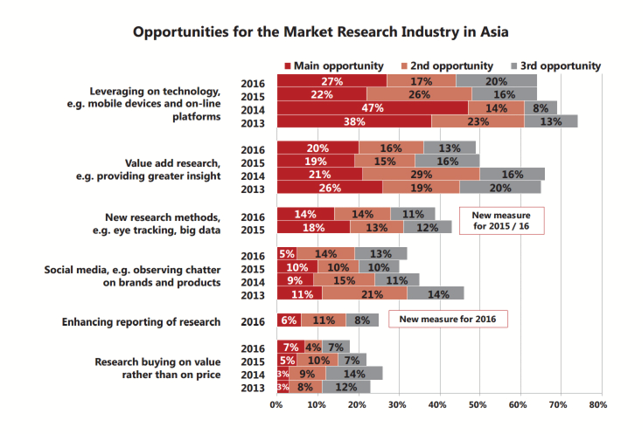 The various research-on-research pieces conducted by Asia Research this year is coming together nicely to reveal the state of the market research industry in Asia. True, many of these surveys are concentrated in the core Asia Research distribution markets of Singapore and Indonesia, but they are also indicative of broader developments for the industry across Asia. This is particularly with reference to the annual technology survey, conducted among the heads of the panel / research technology companies. The first survey of 2016 – the Annual Buyer Survey – was conducted among corporations that engage external firms for research (conducted in May), and reports a significant increase in clients going directly to panel companies, cutting out research agencies. But the use of research suppliers is rational: clients have pulled back from using ‘alternative suppliers of research’ (e.g. academic institutions, branding consultants, and management consultants) and are instead concentrating their businesses on about four different agencies, them being a mix of ‘big’ agencies and smaller independent agencies. 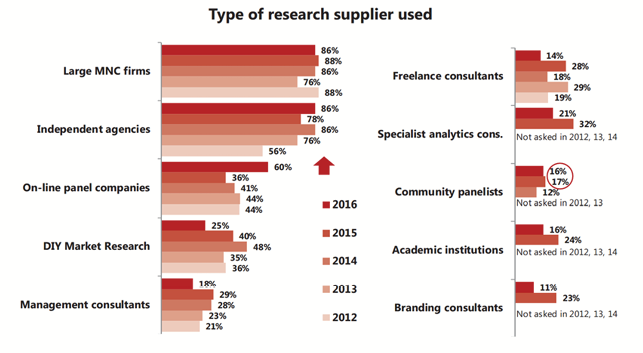 The amount of research insourcing within client organisations seems to have levelled off, and research agencies more or less know where they now stand with clients. Clients, for example, will go directly to panel companies for small, tactical research projects, and will choose a perceived specialist agency for more strategic research projects, or where some level of consultation is required. Hence, while the research industry initially experienced some culture shock to new technologies, it is now adapting to market realities and even taking advantage of them. Based on both the Stakeholder Survey conducted in August this year and the latest review of the online / research technology business, both clients and agencies are benefiting from technology in different ways. For clients, technology is certainly allowing their limited budgets to go that much further. Shinichi Hosokawa, CEO of GMO Research, comments that smaller tactical research can be conducted much faster and for a substantially lower cost by going to panel providers rather than engaging a mainstream research firm. These surveys are often much shorter but also more frequent, meaning they can be better suited to mobile-based surveys, which is becoming the more common platform for survey completion. Mark Lepine, Managing Director of SSI, comments that one of the most important developments in the research technology business in 2016 has been the development of end-to-end research technology solutions where a client can undertake relatively simple market tests but with a full service offering. Organisations like Zappi Store are undertaking end-to-end research where clients can implement a survey, and have results in report form electronically delivered within 24 hours. Ludo Milet, Managing Director of Toluna, concurs that speed is of the essence. “Marketing departments cannot afford to wait six weeks for results” he comments, and they are seeking in-the-moment research – shorter surveys but with more interactions, such as diaries to examine the consumer path to purchase. These game-changing research solutions are opening up research to much broader audiences. James Burge, Managing Director of Research Now says that these solutions can attract small and medium enterprises (SMEs) where, for budget reasons, bespoke research had previously been out of reach. Agencies are also benefiting from this technology. Ludo Milet comments that market research companies no longer need to be involved in operations and data collection but can rather focus on their core strengths of consumer insight. Previously, many smaller agencies in Asia had been excluded from larger regional projects due to their lack of a regional network. Online research can now cover most markets, and mobile-based solutions can often fill gaps in the emerging markets, meaning these suppliers can provide smaller agencies with a seamless data collection facility as well as a support structure for sample design and data processing. Indeed, about 60% of clients within the Stakeholder Survey state that they are willing to use smaller agencies for regional projects, with only about one in three clients listing the international network of the agency as a factor in considering it in the first place. As the Asian market for research matures, clients are becoming a lot smarter in finding the right agencies and the continued proliferation of suppliers means that agencies are having to find their niches in an increasingly demanding market. 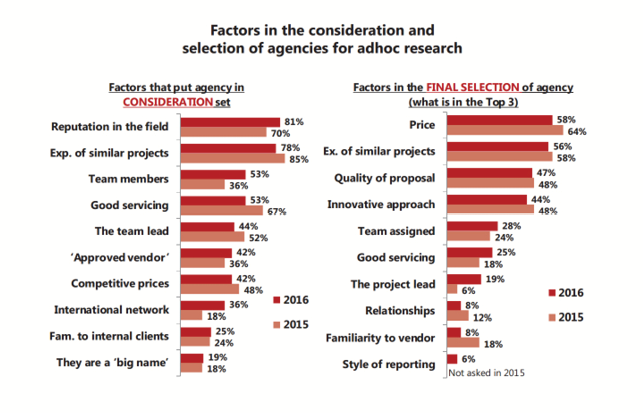 Based on the client sample in the Stakeholder Survey, the leading factors that will put an agency into the consideration set for a project are their reputation in the field (e.g. for the sector or for the type of research) and their experience in conducting similar projects. These were far greater than factors such as the agency being a big name, or being familiar with internal clients in the organisation. Contrary to some views, the market research manager is still the main decision-maker (over internal clients and senior management) in choosing an agency, despite trends in the market research budget being distributed across business lines and budgets becoming centralised to regional HQs and global departments. Going forward, the main opportunities still remain in technology. Mark Lepine says another key development in 2016 has been the use of online voxpops, such as with specialist companies like Big Sofa or Voxpopme, which deliver a little more colour to online research. Here, instead of consumers keying in open-ended answers they can video themselves stating their thoughts and feelings, which not only produces more feedback but also adds significant value to online surveys that can otherwise be somewhat in the aether, and helps get research into the boardroom. Enhanced reporting like this was added as a new opportunity to the Stakeholder Survey 2016 and was ranked the fifth biggest opportunity for the industry out of ten. Technology is also overcoming some of the traditional threats to the industry, including fieldwork quality and respondents’ cooperation rates. It is helping to identify and throw out the ‘speeders’ – those not really engaged in the survey – and social media and in-the-moment research is being used to access hard-to-reach audiences such as younger consumers, the affluent, and frequent travellers. However, research technology companies feel that the market research industry is not sufficiently keeping up with these developments. James Burge comments that many surveys are not yet mobile compatible, are too long or involve the ‘old style’ questionnaire formats such as grids. He contrasts this with the way the advertising industry is ‘moving with the times’ in a digital world. Other emerging opportunities with research technology in 2016 is in the area of passive data measurement. While people might now be bored of hearing about Big Data, passive data is becoming more interesting. Milet asserts that passive data collection can be combined effectively with standard Q&A surveys not only to establish what was done (by passive methods) but also why it was carried out (through Q&A). Research apps, cookies, and even Return Path Data (RPD) from cable TV set-top boxes can provide far more accurate information in areas such as media touchpoints. However, there are still issues with this technology with ‘decaying cookies’, but more importantly in obtaining this information we enter a minefield of data privacy issues. This minefield might also account for the continued slumber of the market research industry’s own Sleeping Giant – Google. The multinational has dipped its toe in the research market with Google Consumer Surveys, but they have yet to create much traction. The issues are that research revenues for Google can be too small in comparison to other revenue generating activities that Google can ‘play around with’, there are big risks surrounding privacy, and the hosting of ‘inappropriate’ surveys can fall foul of local jurisdiction – any US corporation’s nightmare! Another interesting finding from the Buyer Survey is that Community Panel (CP) adoption in Asia seems to have stalled. Mark Lepine comments that there were early adopters of this new survey approach and, based on the Singapore Buyer Survey, one in nine client organisations in Singapore used them in 2012, but penetration has levelled off in 2015 at about one in six of clients with no growth reported in 2016. While CPs have seen fast growth in Western markets, the issue in Asia is that of resources. The original objection to CPs were in the upfront costs but the CP companies made efforts to restructure these costs in order to make them more palatable to clients. However, the success of CPs rely on their continuous use by clients, tapping into their consumers as sounding boards on a monthly basis. James Burge comments that while some insight departments in Asia are well-resourced and enjoy the organisational buy-in to make CPs work, others do not, and struggle to ensure these panels are utilised properly, eventually opting for other approaches. With so many other panels available, clients can find it more convenient to tap ad-hoc panels rather than seek to manage proprietary ones on their own. Shinichi Hosokawa comments that branded CPs require heavy customisation and therefore, only a limited number of large MNCs have the option to fully utilise these facilities. A still challenging area is that of B2B online research, which is still keeping traditional survey call centres going. But James Burge comments that while some business decision-makers can be found through consumer panels, these respondents need to be rewarded in different ways. For this reason, panel companies need to strategically implement loyalty programs. BDRC Asia is partnering with a technology firm to access business travellers at the point of booking, offering them a range of incentives tailored to the region and class of travel. Sometimes, this approach can access people during the trip itself. In terms of threats to the market research industry, price pressure remains at the top of the list as clients move towards tendering processes while cosy relationships with suppliers diminish in the selection process of agencies. Wider economic issues are not helping either. In both Singapore and Indonesia, research budgets are now static, and the stagnation of budgets in Indonesia just in the last year is quite remarkable. 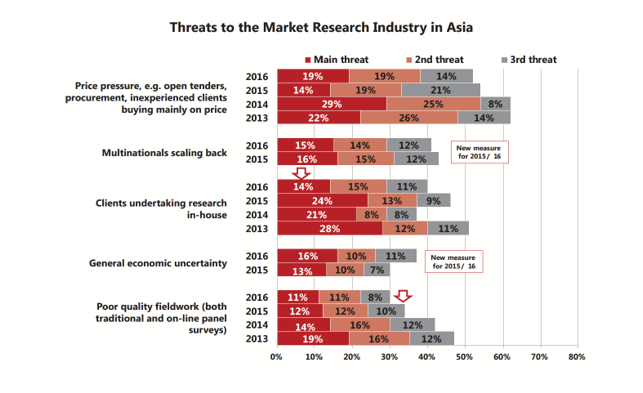 The industry in Asia can no longer rely on organic growth, and growing consumerism in emerging markets (previously the engine of growth for Asia) now ranks as one of the lowest opportunities for the market research industry in Asia. The Stakeholder Survey also shows that the research spend by clients due to major new investments in Asia fell from 47% in 2015 to just 30% in 2016. Some of the main threats to the MR industry in general are multinationals scaling back and general economic uncertainty. On balance, industry stakeholders still see more opportunities than threats to the market research industry (50% versus 17%, with the remainder stating an equal balance). Although high levels of optimism have fallen since 2013, there is an encouraging rebound in optimism among the next generation of researchers currently at the project manager level. While the technology is there, at least for the foreseeable future and hopefully until retirement(! ), the need for human judgment will remain. 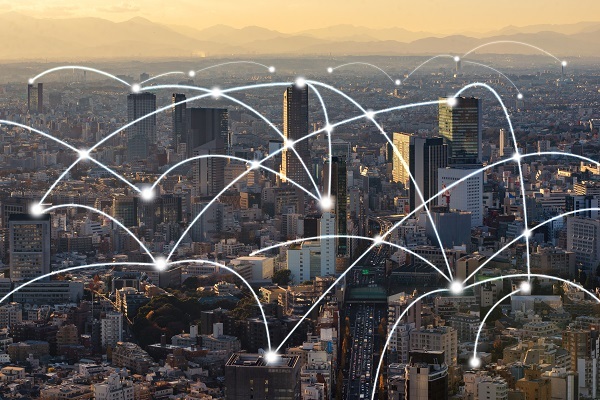 Technology can get us data faster, more reliably and present it nicely, but it cannot yet make management decisions, nor can it identify those nuances that can make the difference between business success or failure.